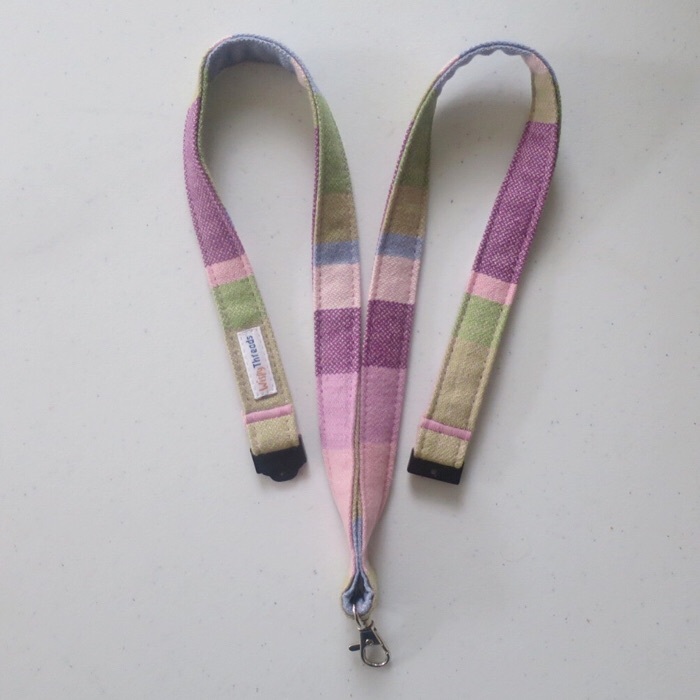 This Anemone lanyard is made from a babywearing wrap of the same name made by Girasol. 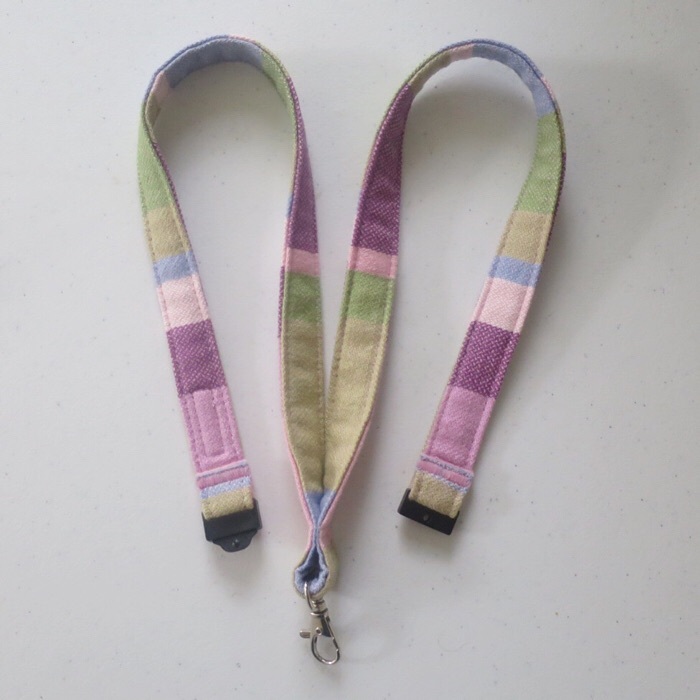 The stripes in these wraps are not symetrical, so this lanyard has been lined inside with the opposite side of the wrap which means that the beauty of the entire wrap can be seen. 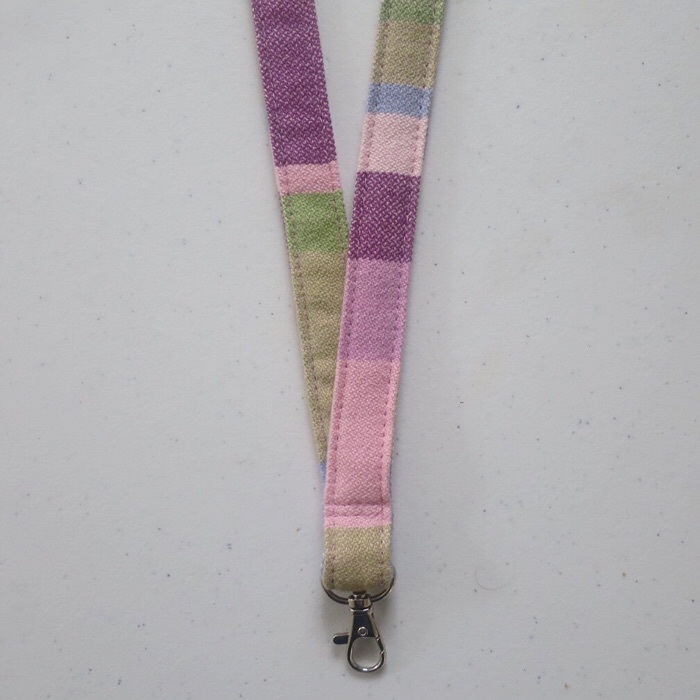 The lanyard is approximately 45 cm long with an lobster clasp at one end and a breakaway safety buckle at the other. 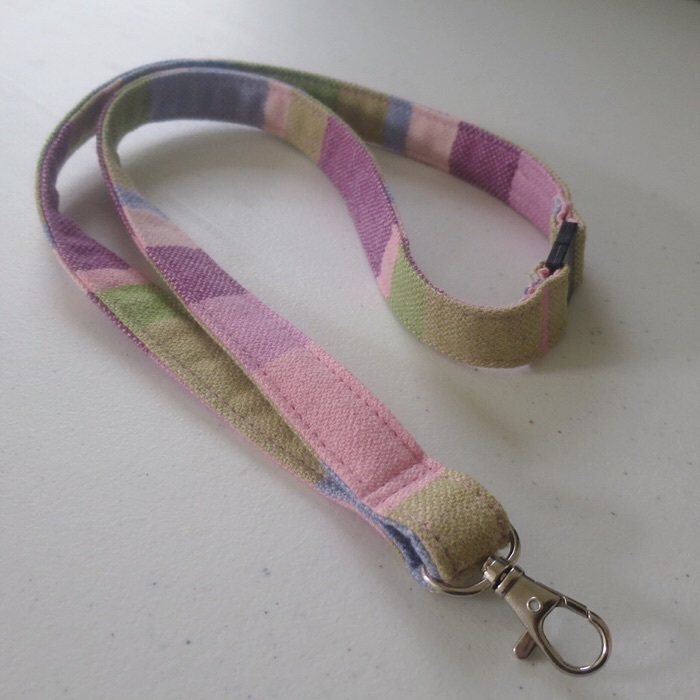 Fabric is made from 100% cotton.